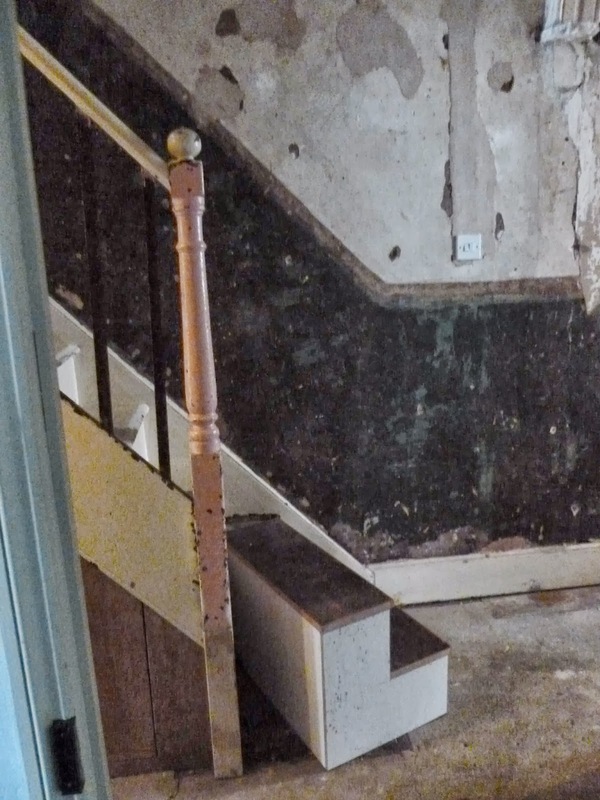 (which ok, admittedly has been quite a while) the base of the stairs has changed quite a bit! 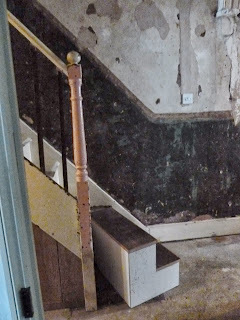 The paper has been scraped off the walls to reveal the original decoration underneath (plus quite a few new patching jobs to do) and the position of the newel post has changed to be two steps up from the bottom of the staircase. The re-site of the post has now changed how the stairs can be navigated (can step up from the side), and has also widened the hallway - as you may notice from the pic - the two bottom stairs are removable which 'well whaddya know' know, when they are taken away - it makes it possible to steer a vinatge vespa scooter all the way through our terraced house and ot into the workshop beyond!